To provide our customers with unmatched personalized service & professionalism. We proudly offer a variety of services: Wedding Ceremonies & Receptions, Sweet 16 Celebrations, School Dances, Corporate & Private Parties. Our collective experience and diversity along with the most professional and skilled DJ/MCs will give you peace of mind that your special event will be a stellar occasion. Our vast musical library ranging from Top 40, Country Western, Hip Hop, Disco, Oldies, Motown, Pop, Rock & Roll, Merengue, Salsa, Reggaeton, Reggae, and many other genres allows us to cater to an extensive list of clients. Greenlight Entertainment knows that having a wide variety of music is very important. 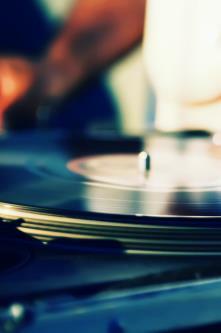 Our DJs carry a complete library of music spanning every decade from the Big Band Era right up to today's hottest hits. We are confident that our music library is so diverse, that we have something for everyone. Music can be the determining factor as to the success of your Event. At the beginning we create perhaps a soft, elegant setting accented by dinner music quietly playing in the background. Later we will kick up the tunes and get your family, friends or co-workers moving to all-time favorites including your special requests. Greenlight Entertainment can customize the DJ's music around any theme. Experienced professionals know when to play it soft and romantic, when to swing and when to rock the night away. This is what we do best, play the right music at the right time! You will always have the opportunity to select your favorite songs in advance. If you want, we can even take requests (as long as they fall within your guidelines). We don't just play music! We program music, taking into consideration the entire evening's success. Greenlight Entertainment strives to provide a maximum level of quality musical entertainment by first understanding the needs and wants of our clients and secondly by always exceeding our customer's expectations with the highest regards of professionalism, communication and entertainment. We have absolutely no problem in making any adjustments to your itinerary should something unexpected emerge. In addition, continuing with our premium service, Greenlight Entertainment does not subcontract ensuring our exclusive availability to you.